Japan’s growth has been stable but is considered to be slow in the last few years. This article will discuss a few details about Japan’s market and macro-economic performance in the last year such as the country’s Gross Domestic Product (GDP) Growth, inflation, manufacturing and more. Japan had a strong international trade and a productive fiscal activity in 2017. This resulted in an estimated 1.5% growth. The economy has shown an uninterrupted growth for over seven quarters. The country’s healthy global growth and indulgent financial conditions positively affects the Japanese Economy. However, the conditions that pushed its growth this year are beginning to taper off affecting economic activity. Wage growth has been on the weaker side which limits private consumption. It is unclear how long this growth will continue to rise, because the economy’s main driver which is consumer spending, remains weak. Japan’s inflation is high in 2017 despite weak consumer spending. Inflation rate is measured based on the Consumer Price Index (CPI). 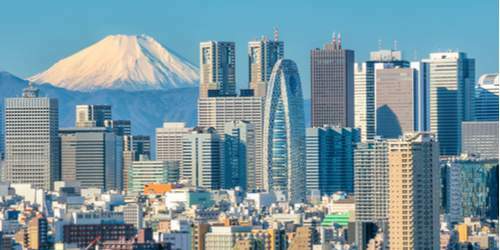 Japan’s economy rose in terms of inflation rate (CPI) in 2017 compared to 2016. Japan’s Inflation rate shot up 0.50% in 2017 in comparison to 2016. Japan’s exports rose in 2017 despite the decline in international trade since 2016 which contributes to a slowdown in business investments. Residential investments are also booming with very low long term interest rates. Gains from employment has helped bring up the growth of private consumption to the highest state since 2014. However, the wage worth remains low regardless of the drop in the unemployment rate and the highest job opening since 1976. It is expected that growth will slow down because fiscal consolidation will resume in 2018. Wages are estimated to slowly rise because of the labor market tightening which will damage private consumption. The economy’s fiscal sustainability will be more easily assessed when the more detailed fiscal consolidation plan is officially announced later in 2018.